Living on the river there are so many moments when you just happen to look up and out the window and catch a moment of an animal wandering by. It makes me wonder just how many visitors who come by that I'm never aware of! 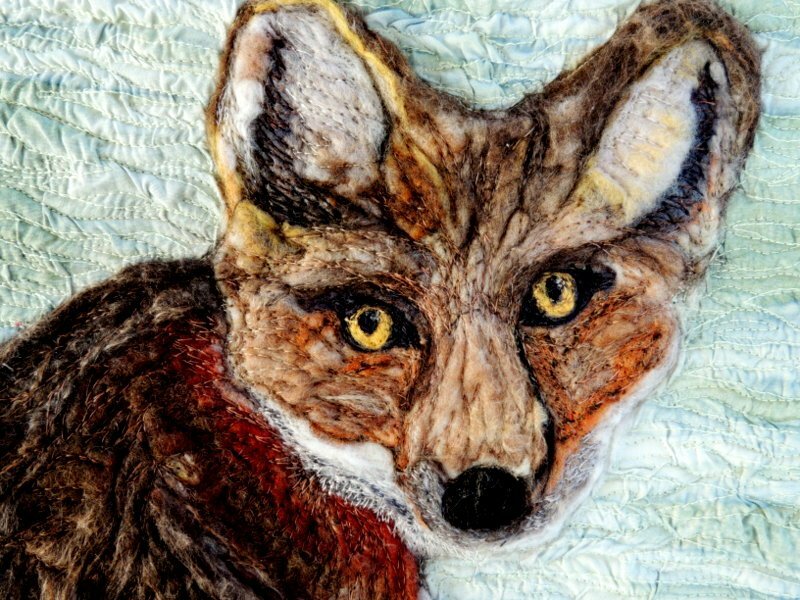 I created my little critter by needle-felting wool and silk blended roving together, then appliqued him onto a textured background. I added some thread embellishments and quilting to add extra dimensions.